When we talk about giving, it doesn’t always mean money. It’s more than that. It’s about giving your time, energy and effort to help other people and causes. We don’t need to wait until we get rich to help others because by the time we are rich and successful, we have little time even for ourselves, what else other people, right? So, remember, in giving, we rise by lifting others. For example, based on my personal experience, currently my husband and I are working together on two charity projects. The first project is to feed the homeless. Every month, we will go to Central Market and Petaling Street area and provide food and drinks to the homeless and the hungry. We start small and cater for 20 to 30 people per month. The second project is to feed the stray cats and dogs. We provide them food and fresh water. To us, this is our small part to give back to the world of what we have and make the day of the unfortunate ones. Sometimes the little thing you do for someone or an animal in need can mean the whole world to them. 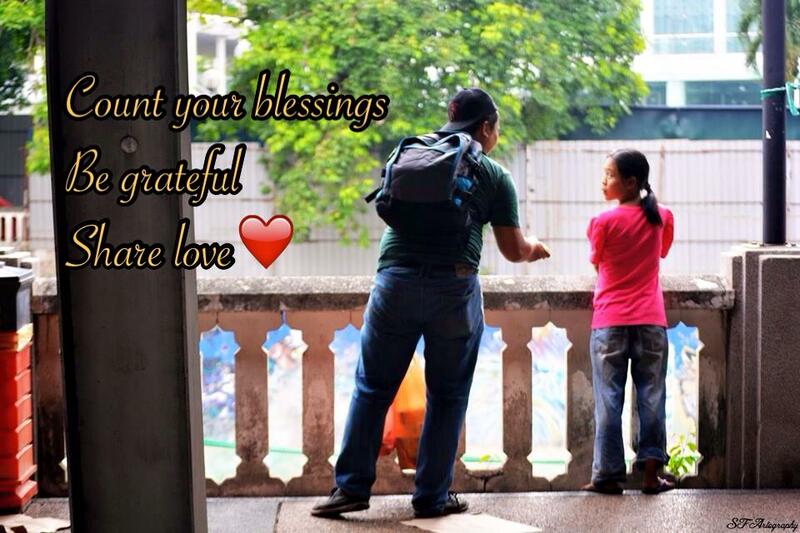 For us, maybe RM 1 means nothing, but for a homeless or destitute person, RM 1 could mean everything. Hence, always put yourself in someone else shoes especially the unfortunate ones, and you will never underestimate the power of giving!